The next series of posts on Thinking Outside the Boxwood are going to be more of rant than normal as I attempt to solidify the impact container gardens have in residential gardens. 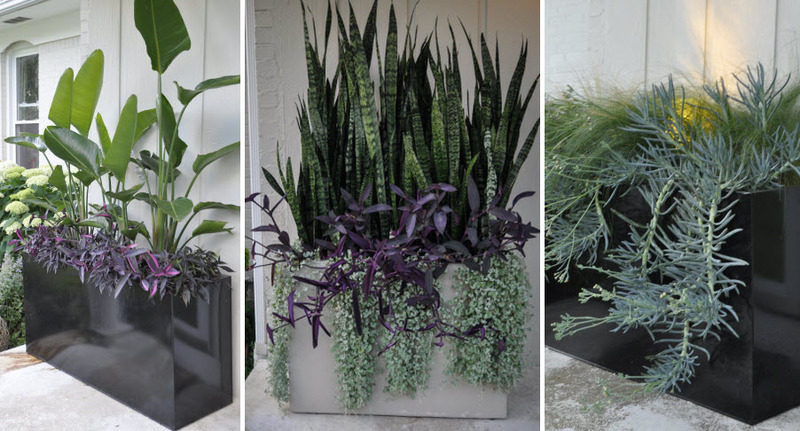 By no means are container gardens a ground breaking concept, there are hundreds of books from edible containers, instant containers and succulent containers to name just a few. But the more I travel and see residential gardens, I wonder why there is a lack of color and excitement in the design besides shrubs and trees. Understanding not everyone has the budget let alone time to maintain vast perennial gardens, I believe embracing the well designed container gives all the impact with a fraction of the effort. Please bear with me as I attempt to see if I can spur a widespread love of Container Gardens. The beauty of utilizing containers gardens is the ability to control a very small area and create a garden beyond your geographical area, existing plantings or maintenance ability. Container gardens allow you to experiment from season to season or year to year. Even in a large container, it is very easy to control the soil type, sun exposure, water frequency, and beneficial nutrients. Also you can create a very large impact in a garden that has mainly foundationial plantings. 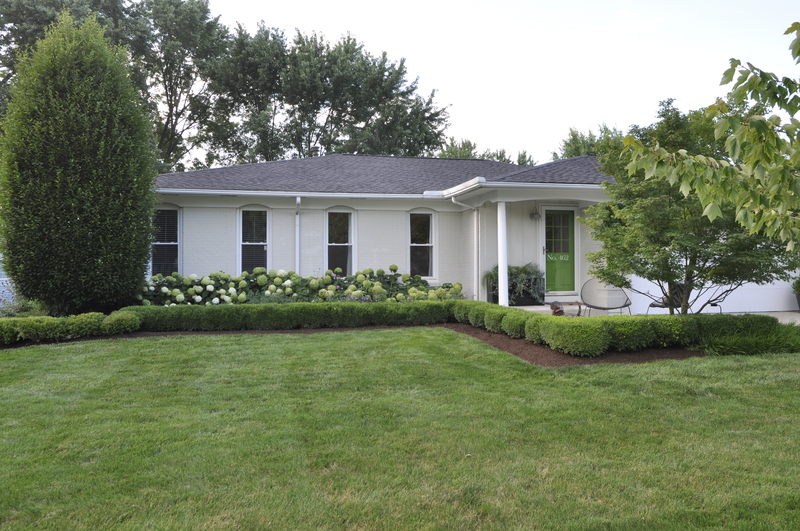 This is the front of our previous home taken around the end of July in 2013. The planting beds include our foundational plantings that give the garden year round structure. It also includes seasonal color of alliums, daffodils and nepeta that are highlighted throughout the different seasons. The container next to our door never reflected the surrounding plants and changed from year to year. Here is three years of the containers from our front door; 2013, 2011 and 2013. These were always an experiment in design, with the container from 2012 including Asparagus deniflorus ‘Myers‘ – Foxtail Fern never taking off due to lack of sunlight. In 2013, inspired by Mediterranean gardens, I contrasted the height from previous years with low-water plantings. It was this container that was an “Ah ha” moment for me on how containers can be used to transport you across the world into your favorite gardens without touching the rest of your garden. My ranting will continue with the next post showing how a destination garden like Lotusland in Montecito, CA or geographical area can be recreated in container garden. I am very interested to see what you think about “containing” a destination or favorite garden in a container. 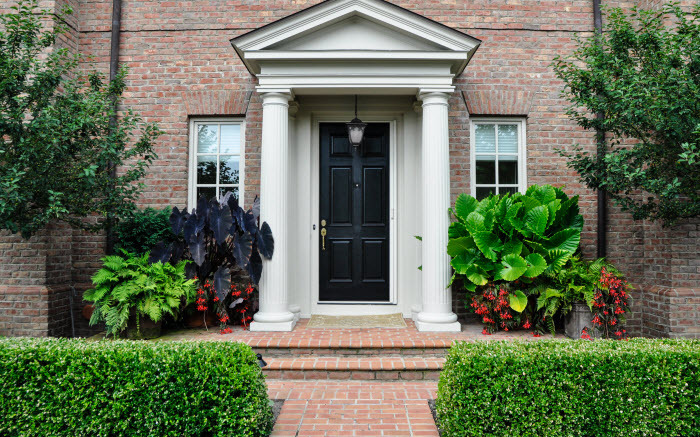 This entry was posted in C O N T A I N E R S and tagged central ohio, Columbus, container design, containers, entry way containers, garden design, gardening, gardens, landscape design, Planters by Nick. Bookmark the permalink.